Last night, we had a great time in Hershey watching Disney On Ice presents Frozen Presented by Stonyfield YoKids Organic Yogurt at the GIANT Center. 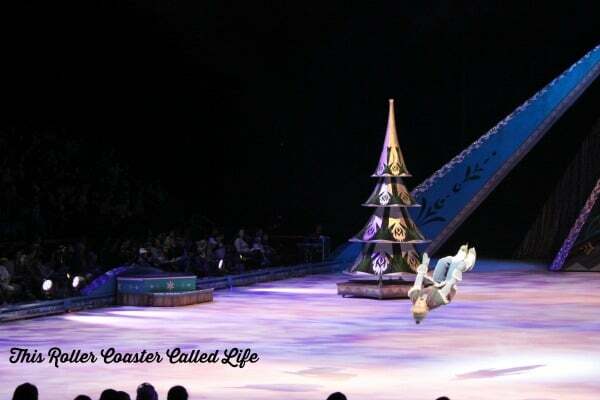 We had been to a couple of Disney On Ice shows prior to Frozen, but Frozen is now at the top of our favorite list! 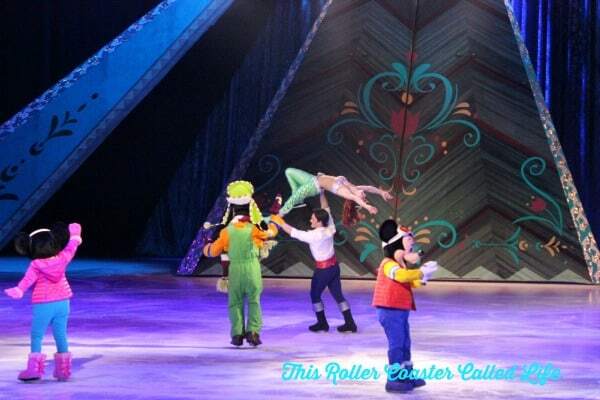 Frozen was the perfect movie to be made into a Disney On Ice show! Timon and Pumbaa. 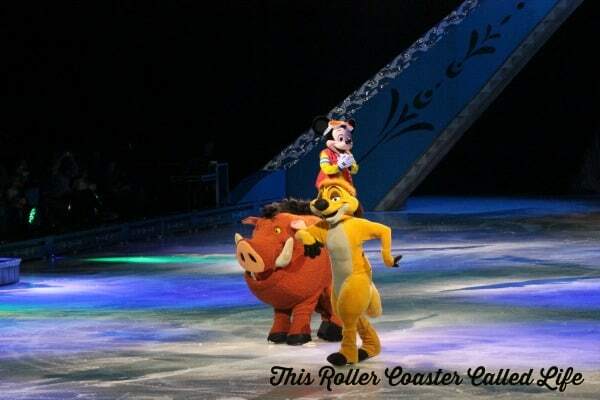 I thought it was so cool to see these two out on the ice and still wonder how Pumbaa was done. Then, the story of Frozen was introduced. I like how the props for the story were used. I wondered how they would do certain scenes, and it was interesting to see how they handled multiple things happening at the same time by defining different spaces on the ice. In addition to the story line, there were lots of fun skating moves. The crowd at the show (and yes, there were a LOT of people there) was so into this show! Have you ever heard an entire arena singing along to the songs? It really was an experience! There had to be a few minor changes to make this story work on ice… I mean, could there really be a body of water in the middle of an ice rink? Did I mention the skating? Kristoff’s skating was so well done, and the flips were just amazing! And what would this post be without a picture of Olaf? At the beginning of the show, a man stood up and asked which character was our favorite. He asked if it was Anna. Some in the crowd said yes. Then, he asked if it was Elsa, and some others said yes. Then, he asked about Olaf, and the arena went WILD! Here, Olaf is asking if Anna knows how to knock. Of course, we all know how the story ends. 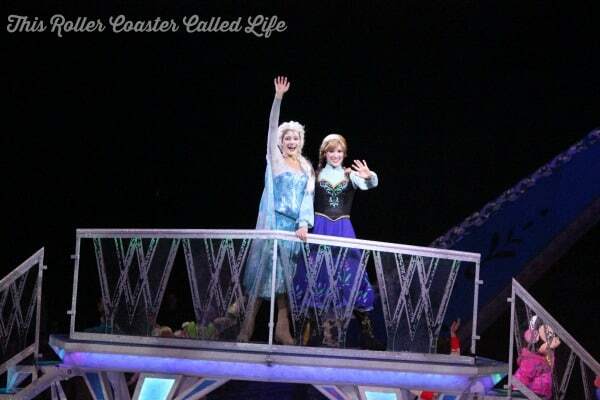 Anna and Elsa’s sisterly love wins, and Arendelle thaws and returns to normal. 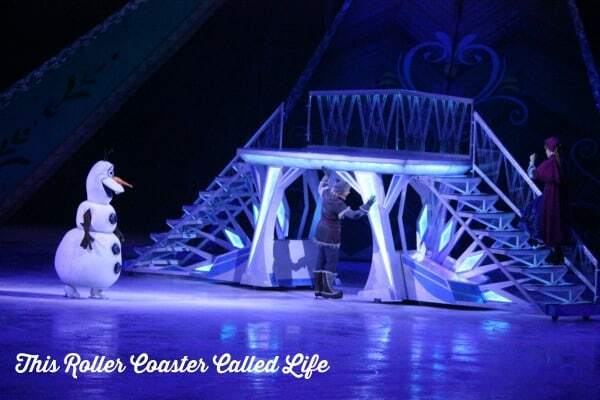 If you like ice skating and the movie Frozen, you will likely enjoy Disney On Ice presents Frozen! 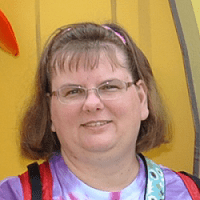 If you want to see this show in Hershey, PA, it will be there through Monday, October, 20. You can purchase tickets here. 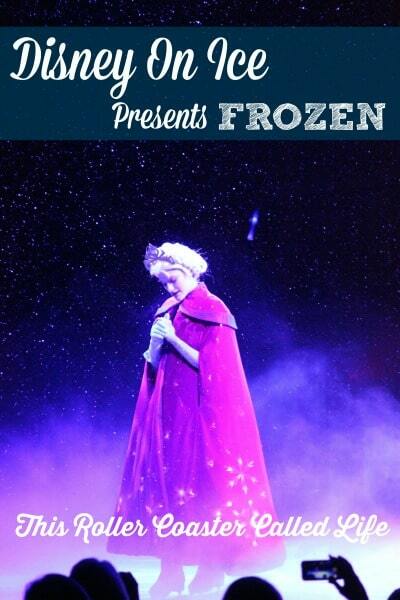 If you would like to see if Disney On Ice presents Frozen is coming to an arena close to you, check that out here. 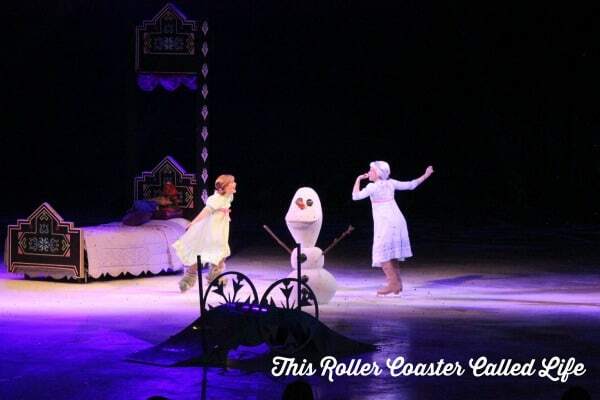 Have you seen Disney On Ice presents Frozen, yet? Aw this looks so good, you can’t beat a bit of Disney to make you smile. How fun to hear the crowd’s reaction to Olaf. That’s awesome, and I’d love to see this show! The kids will love to see this. Thanks for sharing. 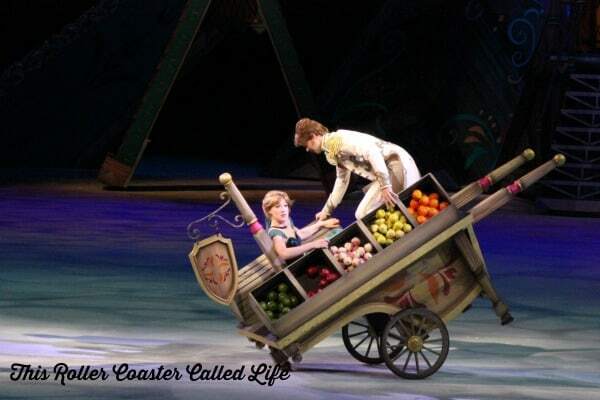 I know my daughter would love to see this live on ice! Thank you for the photos, so vivid! 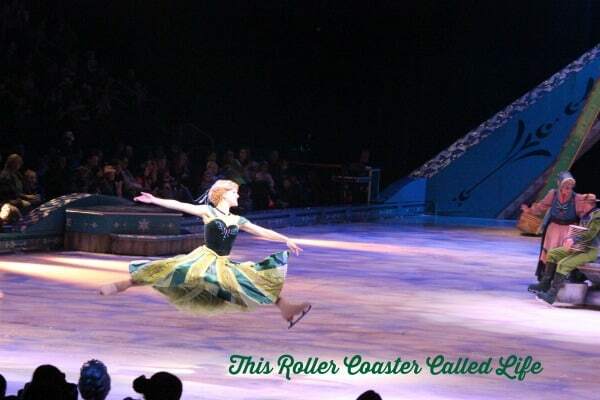 I have not seen and Disney production on Ice yet. I would love to see this because it sounds amazing. I have been hearing it is really good. Thanks for sharing.